Maruti came up with the NEXA dealer network a couple of years ago. These dealerships, which made their debut with the launch of the S-Cross, aim to provide a more premium car-buying experience to the buyers of models such as the Baleno, Ignis, Ciaz, and, of course, the S-Cross. The NEXA network was launched as a part of the manufacturer’s transformation journey. These premium retailers were followed by the True Value 2.0 used car showrooms. In the latest move, the manufacturer has decided to revamp its regular dealer network, too. 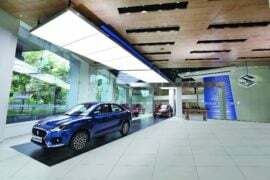 The spruced up dealerships will become a part of the upcoming new Maruti Suzuki Arena showrooms. 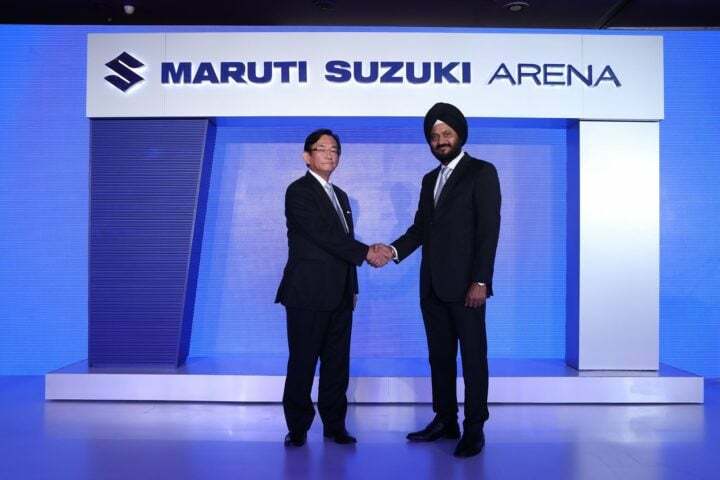 Maruti Suzuki goes on to claim that its Arena dealerships will be dynamic, trendy and tech-loaded. The Arena network will provide customers a better new car-buying experience. These showrooms will look a lot more modern and sophisticated and will have a friendly staff that will help buyers choose the correct car model. 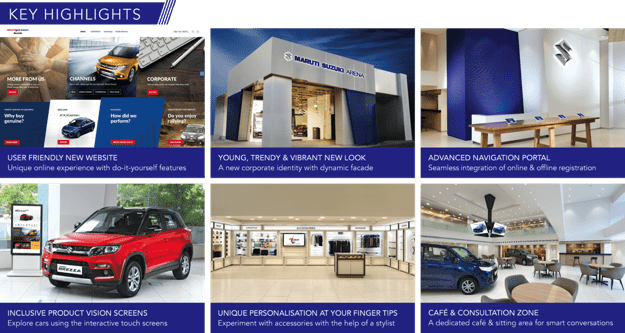 With the launch of Maruti Suzuki Arena showrooms, the popular car company will have four distinct retail channels: Maruti Suzuki ARENA, NEXA, Commercial and True Value, addressing needs of all customers. 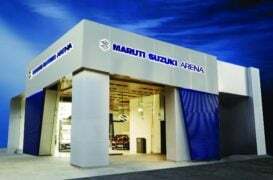 Maruti targets to set up over 80 Maruti Suzuki Arena showrooms by March 2018. Progressively, existing showrooms across India will focus on extending the Arena experience to customers. Around 75% Indian car buyers research online to decide on a new car purchase. 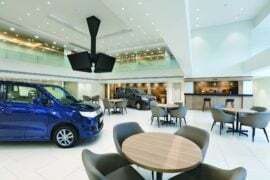 At the new Arena showrooms by Maruti, prospective customers who decide to register on the website can start research in great detail at the showroom by entering their mobile number on the Navigation Portal. Using this portal, they can explore the entire product portfolio, through interactive Product Vision touch-screens. A dedicated Personalization Zone with car configurators will enable customers to electronically personalize cars by a mix and match of accessories. They can explore the entire product portfolio, through interactive Product Vision touch screens at the showroom. A dedicated Personalization Zone with car configurators will enable customers to electronically personalize cars by a mix and match of accessories. The new showrooms will have a dynamic facade with a trendy blue signature design element and an Active Experience Terrace. Valets will greet car buyers in this space. Technology will also assist the Relationship Managers who, equipped with tablets and an app, will showcase the wide range of Maruti Suzuki products and variants to customers for ease of comparison. Information on tab will enable the Relationship Managers to address customer queries promptly. A Coffee Consultation Area and an Owners Lounge will set the mood for friendly conversations. Maruti Suzuki goes on to insist that this transformation comes at the back of continuous research, customer feedback and predicting future trends. The company says that thru such efforts, it aims to offer a car buying experience at par with global benchmarks. Watch this space for more on the Maruti Suzuki Arena showrooms.